This is probably my favourite discovery so far in our Eating Around the World adventure. This Pita Bread is something we love, making this brings a little excitement into our house. This bread is tasty and goes with just about every thing. 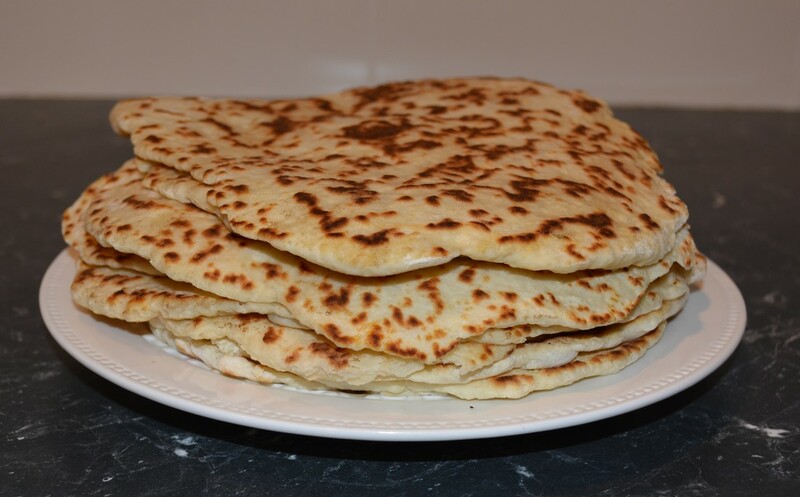 I am a member of a few food groups, surprise, surprise, and for a long time I had seen people commenting that they make bread with greek yoghurt and flour, I didn't pay much attention to it, as I usually made yeast based bread, until I hit Greek week, when I decided to make pita bread. Well now I can see why everyone was making it, it is easy and there is no waiting time to allow it to rise, you just mix, roll and cook these. Super easy, super tasty. The original recipe said this makes 12 pita breads, I prefer them smaller, so I make about 15-16. Roll them out quite thin as they puff up while cooking. This bread reheats well, just pop them in the oven wrapped in aluminium foil until warmed through. Super easy, super tasty and you will never not have bread in the house again. Place the flour, yoghurt, baking powder and salt in a large bowl and mix with a wooden spoon until a dough forms. Add a little water if the mixture seems too dry, or more flour if the mixture seems too wet. Tip the dough onto a clean work surface and dust it with a little extra flour. Knead the dough for 1 minute then divide into 10 equal portions. Dust a rolling pin and your work surface with flour and roll the pieces of dough into small circles (about 14cm diameter). Roll them out thin as they puff up when frying. Place a frying pan over medium heat, spray the pan with the cooking spray, place the pita in the pan and spray the pita. Repeat this process for every pita bread. 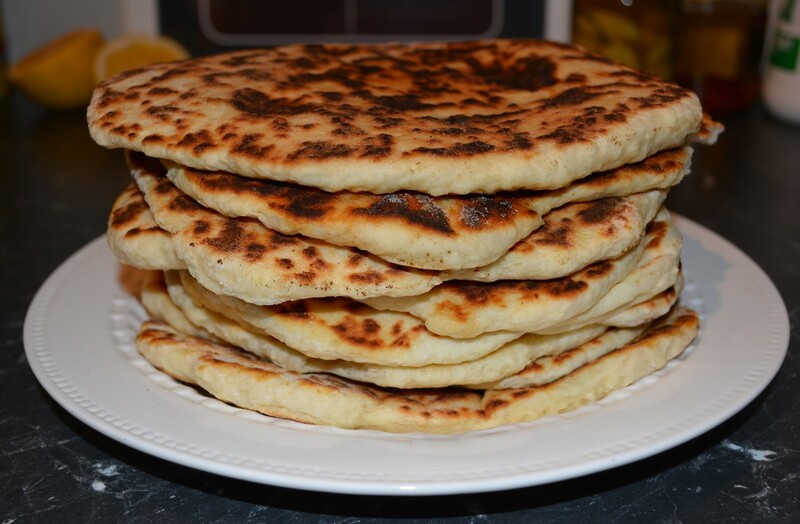 Cook each flatbread for a couple of minutes on each side or until lightly chargrilled, and serve hot.